Join Rural Women New Zealand and Premier Partner NZI in celebrating the innovation, creativity and entrepreneurial excellence of New Zealand’s rural communities at the NZI Rural Women NZ Business Awards. 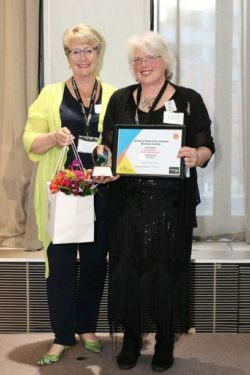 In 2018, RWNZ refreshed its Enterprising Rural Women Awards to become the NZI Rural Women NZ Business Awards. 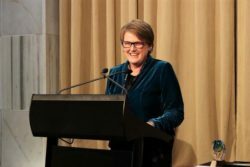 By broadening the award categories, updating the application process and strengthening the judging criteria, RWNZ and NZI have ensured that the NZI Rural Women NZ Business Awards provide rural women business owners with an outstanding opportunity to showcase the diversity of their rural businesses. The Awards attract extensive media coverage and involve promotional opportunities and business workshops that provide valuable insights into the future of the rural business sector. This year, the Award Ceremony will take place on the evening of Friday, 22 November in the Banquet Hall at Parliament in Wellington. Awarded to a business starting out in its journey and achieving exceptional results. Open to businesses that have been running from 2 to 5 years. An enterprise that challenges the status quo to bring something new and innovating to the market or utilising rural resources in an innovative way. Harnessing the potential of New Zealand’s land, environment, or products of the land to create a successful business enterprise. A business specialising in the creative arts working in a rural environment or using rural materials. A person or business that champions the rural sector or a rural enterprise- an outstanding contributor who goes above and beyond in their support of rural enterprises. The award is open to anybody. Recognising a business that makes an outstanding contribution to supporting the health and wellness of our rural communities in New Zealand. A rural business that embraces diverse and unique natural resources to deliver exceptional food an/or beverage. A  Supreme Winner will be chosen from all category finalists. The Supreme Winner will be someone who has shown excellence and outstanding achievement across all entry criteria. All category winners will each receive a trophy and $1000 in prize money. The Supreme Winner will receive a further $1000 in prize money. Entries for the first stage of the NZI Rural Women NZ Business Awards 2019 close on Wednesday, 31 July 2019. Be sure to get in now with your entry or to nominate amazing women in your community. Businesses which enter the awards will have a great opportunity to showcase themselves, attract media coverage and develop promotional prospects. Winners also receive a year of membership with Rural Women New Zealand, prize money and a trophy. Download the printable PDF NZI Rural Women NZ Business Awards 2019 Entry Form here. 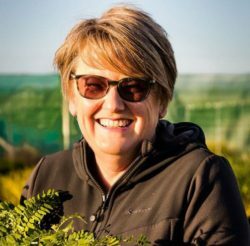 RWNZ Member, Marie Taylor, owns and manages Plant Hawke’s Bay Ltd, a native plant nursery supplying the Hawke’s Bay revegetation market with eco-sourced wholesale native plants. She has a background in horticulture, rural journalism and regional representation of the QEII National Trust. In 2005, Marie set up the nursery on 0.4ha of land leased from Landcorp Ahuriri near the Napier airport. At first it was a part-time business, growing slowly but steadily, until a recent major jump in production. It now grows 150,000 native plants a year and employs three full-time equivalent staff members. Marie’s business objective is to be the preferred supplier of native plants in Hawke’s Bay, to grow a profitable and sustainable business, and to help save plant species by getting them back into the landscape. Marie volunteers with several local projects, including as the deputy chair of the Biodiversity Guardians of Hawke’s Bay. She established and chairs the Hawke’s Bay Botanical Group, which takes people on botanical field trips focused on local ecology. Marie is also a trustee of Puahanui, a large area of bush in Central Hawke’s Bay. Learn more about Plant Hawke’s Bay here. Robyn was raised on a Taranaki dairy farm and became a registered nurse specialising in the operating room. At 23, Robyn took up flying lessons while living in New Plymouth. A short time later, Robyn married her flying instructor and was propelled into a world of helicopters, planes, flying doctor, deer recovery, camp cook, caravan and commune living around Australia and New Zealand. In 1980, following a stint of working in remote hospitals around Australia, Robyn and her husband Keith set up a helicopter business in Taumarunui. They expanded as Mountain Air in 1989, conducting Tongariro National Park scenic flights and, in 1998, began Fly My Sky’s scheduled flight services between Auckland Airport and Great Barrier Island. They have also provided an aircraft and pilot for military parachute training over many years. Over her career, Robyn has aligned her knowledge of hospital safety standards with flight operations. She has undertaken various management courses to develop her company administration, aviation regulatory compliance, recruitment and human resource management skills, and is a long-term member of the New Zealand Institute of Management (NZIM). Learn more about Fly My Sky here. Emerging Business Award  – Hannah O’Brien, Hunt and Gather Bee Co.
Hannah was born and raised in Tairua on the Coromandel Peninsula. After meeting her now husband, Rory, at Thames High School, Hannah trained as a primary school teacher. The couple spent 10 years living in many different parts of rural New Zealand while Rory worked as a dairy farmer. After having their first child, Hannah and Rory worked as contract milkers before deciding to leave the dairy industry entirely. Shortly after the couple welcomed their second child, Rory began work as a commercial beekeeper. Before long, Rory and Hannah had started their own beekeeping business; Hunt and Gather Bee Co. What began in 2016 as a very small enterprise with 24 beehives has grown significantly into a popular brand and expanding business. Hannah and Rory now attend up to 9 markets and trade shows every month and their honey is stocked in a number of stores throughout New Zealand. In early 2018, Hunt and Gather Bee Co. honey earned a silver medal at the New Zealand Farmers Market awards. Their range of five honeys is raw, local and of the highest quality. Hannah is passionate about sustainability and ensures that every step of Hunt and Gather’s process is clean, green and ethical. Learn more about Hunt and Gather Bee Co. here. Sophie and her family live on a 300ha coastal hill country sheep and beef farm. They have been farming organically in Hawke’s Bay since 2004 and run a breeding herd of South Devon cows and a flock of Wiltshire sheep. In 2008, they opened The Organic Farm Butchery, which now sources animals from 10 certified organic farms to process and sell across the country. Sophie and her family are still shareholders in the Butchery. In 2015, Sophie took over her parents publishing house, Millwood Press. Since then, she has written and published eight children’s books which are inspired by farming life in New Zealand. 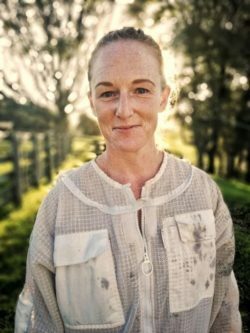 Her first book, Allis the Little Tractor, was celebrated at the New Zealand Book Awards for Children in 2016, and Sophie’s 2018 creation, The Gift Horse, was a finalist in the same awards. Her latest title, Dear Donald Trump, has been on the New Zealand best seller list and is sold in over 14 countries. Learn more about Millwood Press here. WIZwireless is a wireless ISP in Masterton, taking the internet at fibre-like speed to subscribers across the Wairarapa. Bridget came to computing early on. From a farming family in Tinui, she was sent to a local boarding school where a flair for maths led her to programming. Those were the days before computers- Bridget wrote programs on cards that were sent to Canterbury University, where they would be converted into binary code. 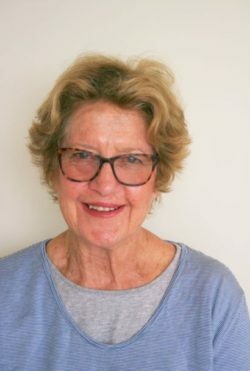 After finishing school, Bridget attended Massey University before moving back to Masterton in 1982 to manage the family farm with her husband, John. When she saw the personal computer scene was starting to develop, Bridget signed up for a software development course at Taratahi. Over the years, Bridget has developed many custom spreadsheets and databases for various companies, including plant labels for her own plant propagation business. 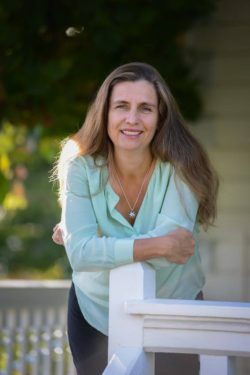 For many years, Bridget worked for a local computer business, running ‘on the road’ training courses and writing manuals. When she started to work from home, the lack of decent internet access proved extremely frustrating. Bridget and John decided to tackle the issue on their own by creating WIZwireless in 2005. 14 years on, the company has a strong subscriber base and is growing every day. Learn more about WIZwireless here.